It is true that thousands of people have been lured into buying fake android phones (Samsung, Itel, Infinix, Tecno) because of their cheap prices, but it is also true that the motivating factor behind their mistake is a lack of awareness. Why are there Fake Android Phones? The reason for fake Samsung, Infinix and Tecno phones is because Samsung galaxy, Infinix and Tecno phones run on android and android is an open source operating system. The source code of the OS is open to all interested parties under open source licenses. With this, most phone manufacturers take advantage by creating the counterfeit of popular devices. And these companies are doing well in the art of manipulating consumers into buying their knock-off phones at very low prices. 1. Check Samsung phone IMEI (International Mobile Equipment Identity) number. The IMEI number is a unique number for every smartphone. So it is important that the device IMEI will be similar to the manufacture box IMEI number. In other to check the IMEI Number of your Samsung device, simply dial *#06#. Infinix has put in measures to checkmate counterfeit Infinix smartphones in the market beginning from the one you are holding. Before you begin, you need to get your IMEI and VC Number. You’ll get info if your Infinix is genuine or fake. The same is applicable to the battery. Enter your IMEI code and VC code in the relevant field and submit. 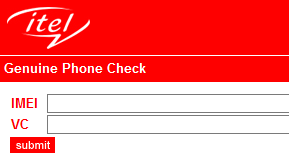 You will get a response informing you if the phone is GENUINE or NOT. The same process is equally applicable to check if your battery is original or not. Please follow these steps to make sure the ‪#‎itelMobile you buy from a shop is original. 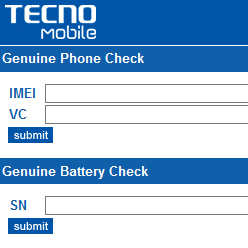 Dial *#06# to check IMEI and find VC number by removing the battery. 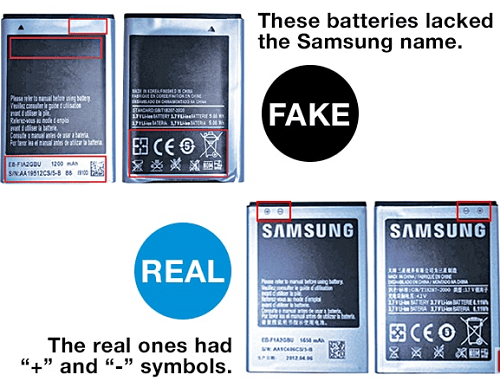 Kindly let us know if any of your device is fake or original.